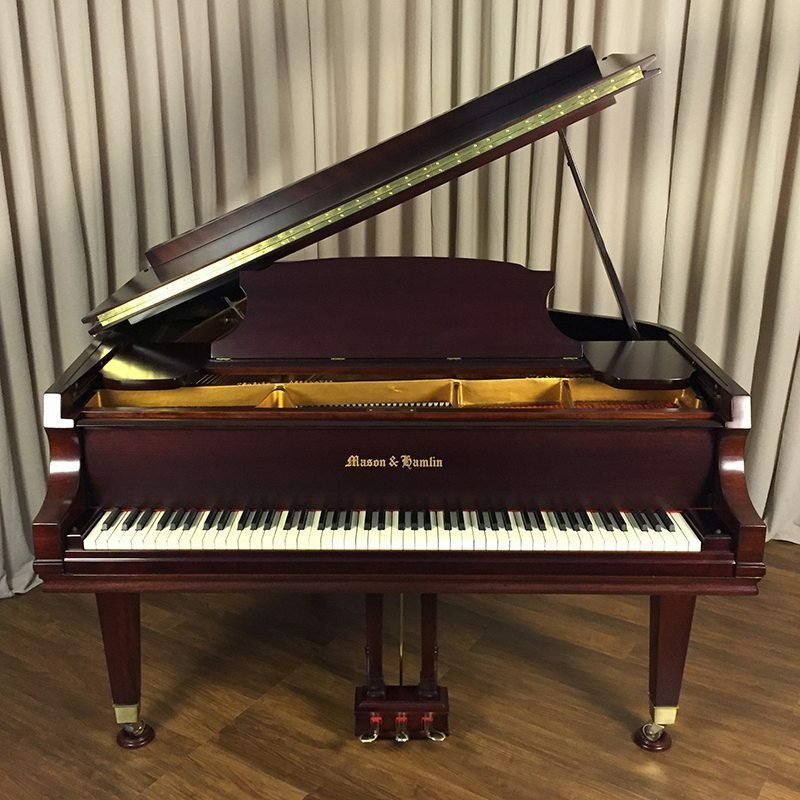 This 1983 mahogany Mason & Hamlin model “A” 5’8” grand has a traditional case. It has been refinished and mechanically restored. Includes a matching artist bench, 5 year warranty, nationwide delivery and free 1st in home tuning. 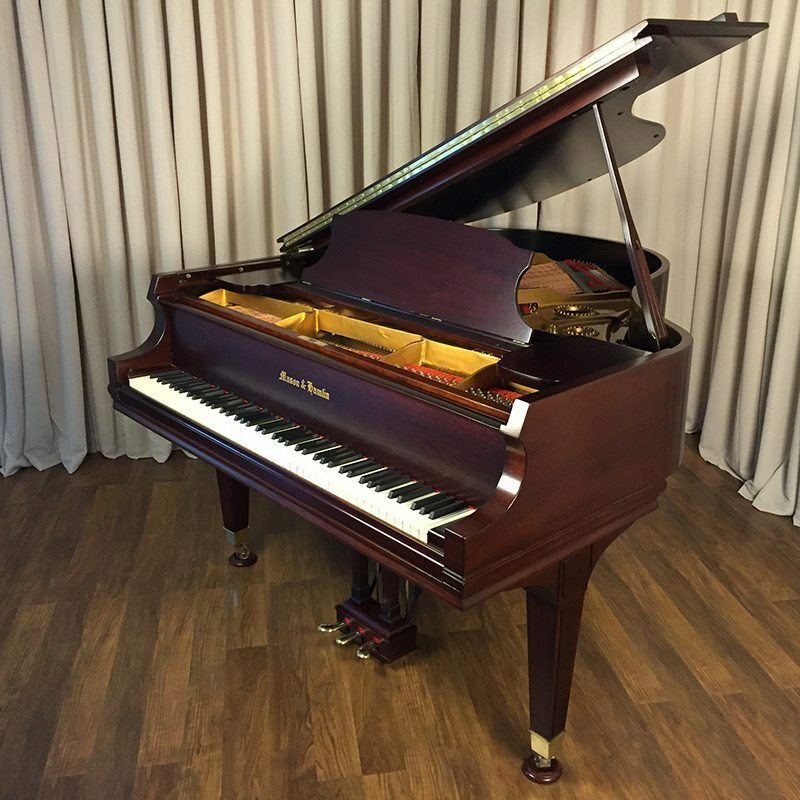 King Piano offers a wide selection of uprights and grand pianos. 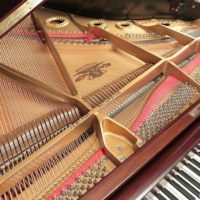 We have Steinway & Sons, Yamaha and Mason & Hamlin to name a few. We stand behind our pianos 100%. 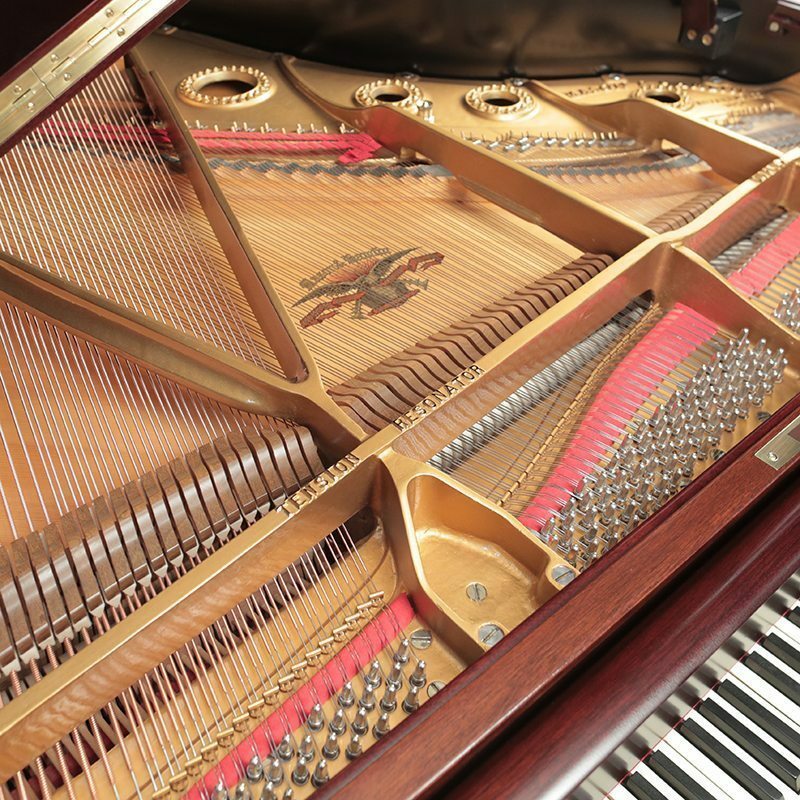 All of the pianos in our boutique showroom are hand-picked for their sound, aesthetics and the highest caliber of quality. 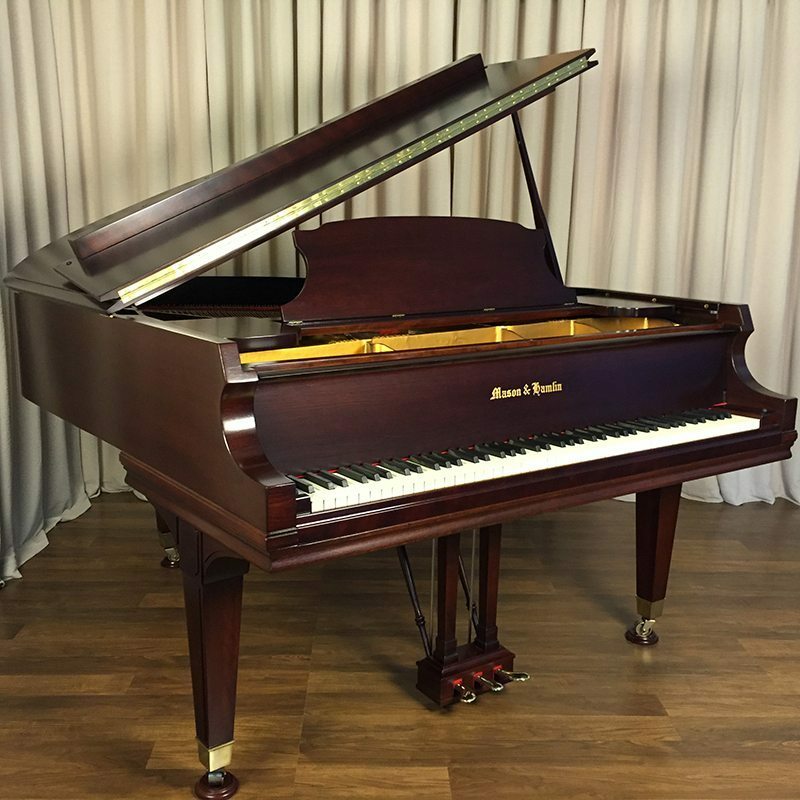 Our showroom is on the cutting edge for providing the best pianos at unbeatable prices. This is an American made studio upright piano in very good condition. A beautiful instrument with a rugged design featuring 5 back posts. This is the piano of choice for many universities that offer a music curriculum. Here is a terrific Baldwin D concert grand piano. 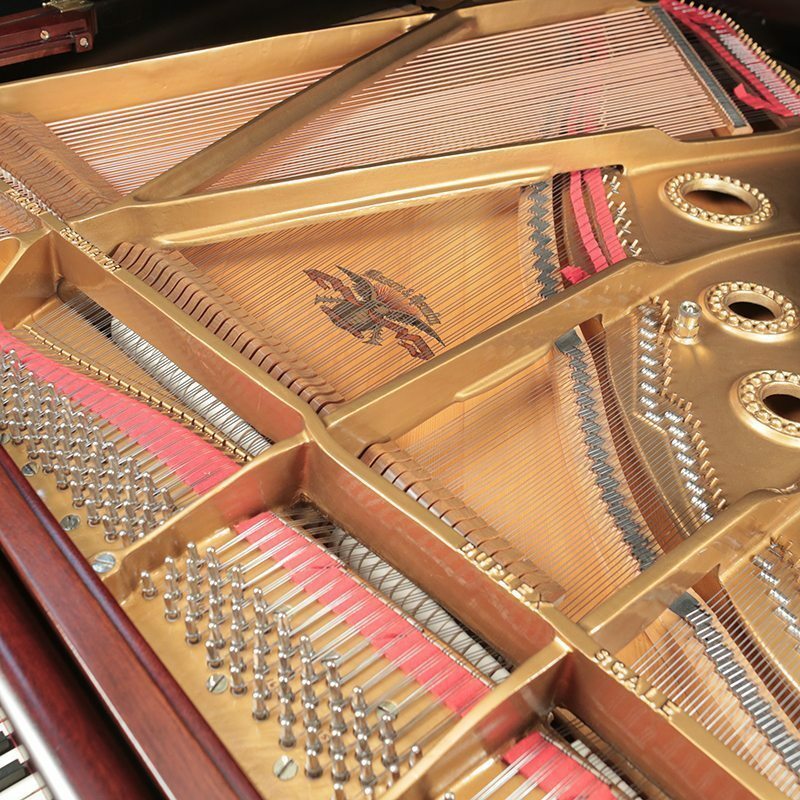 Baldwin and Steinway were among the leading choice for concert artists and were widespread on the concert stage. This Baldwin D is a beautiful example. This piano has returned from our registered piano technician’s workshop with a perfect report card. He replaced the strings, felts and pins to name a few of the upgrades. Beautiful aesthetics that compliment the amazing sound and touch. Do you deliver pianos to homes? Yes! 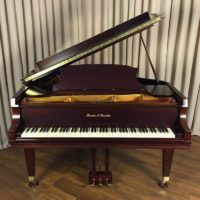 King Piano Moving has been servicing the northeast United States for over a decade. 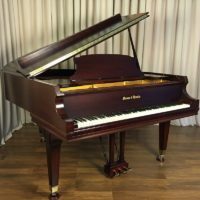 How often do you get new pianos? Its hard to say exactly, but we are always getting new inventory into our showroom.